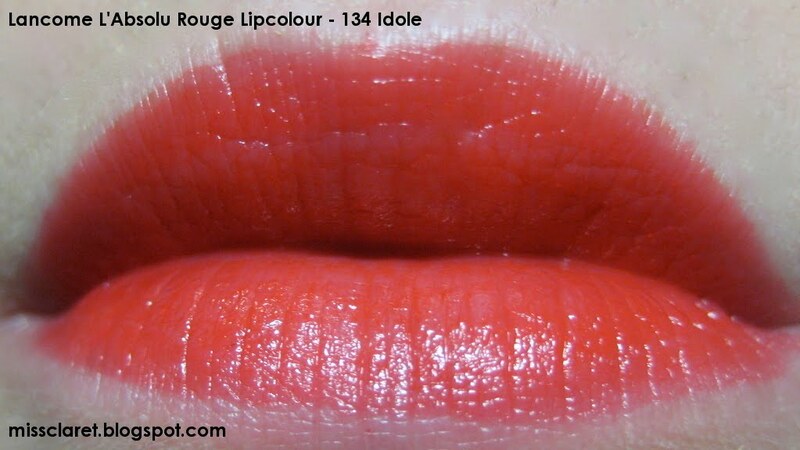 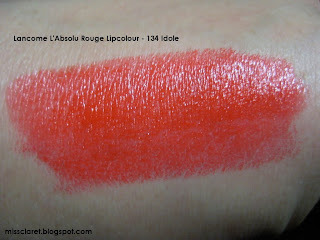 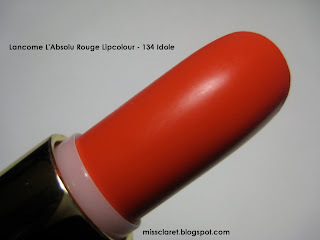 I purchased Lancome's L'Absolu Rouge lipstick in 134 Idole a few months back when I was at my peak of wearing orange reds. I wanted something 'different'. 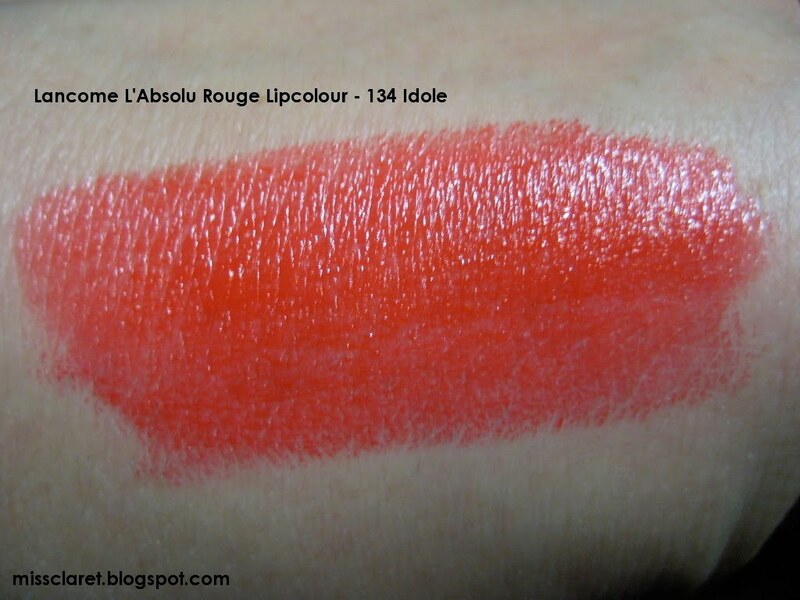 Initially I thought the colour may have been a little too orange, but I was pleasantly surprised when the the orange morphed into a beautiful bright red (thanks to the pink in me)! 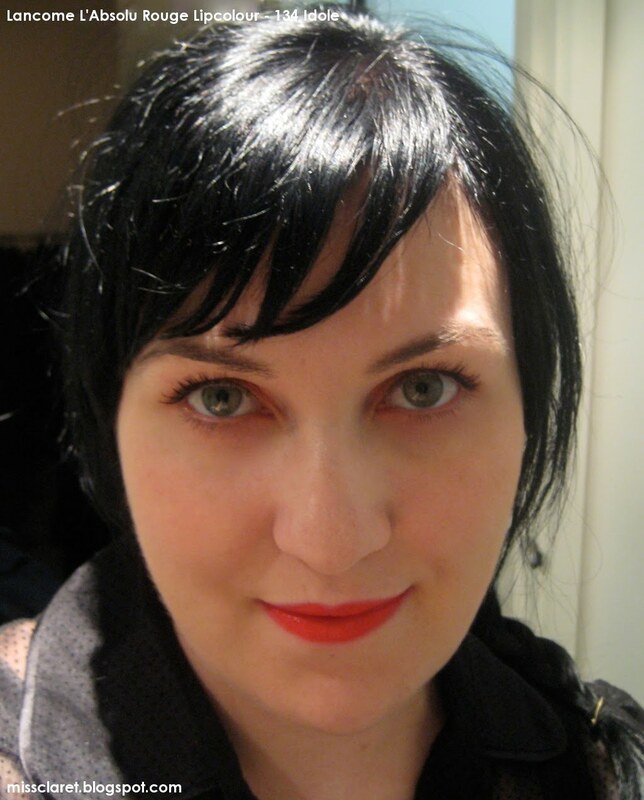 The lipstick is great - it is light and creamy and very easy to wear. 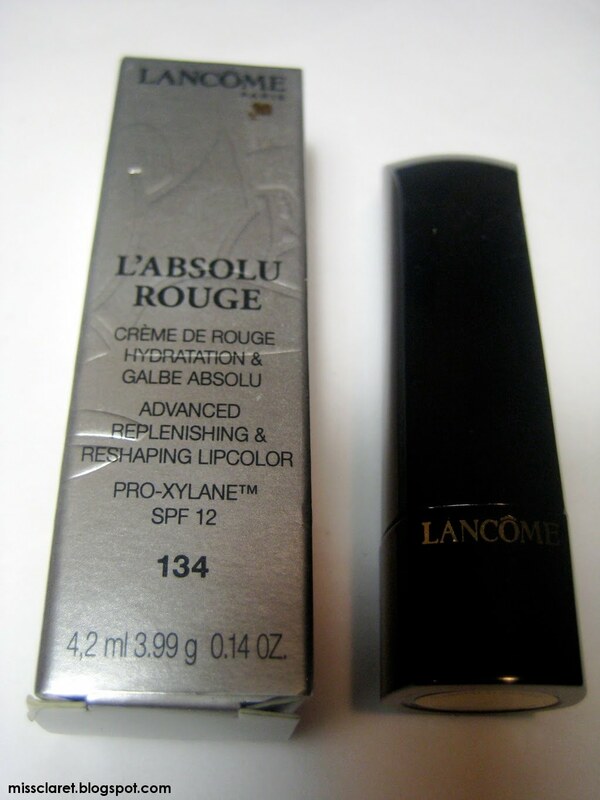 It has even convinced be to go back to the Lancome counter for more red shades.